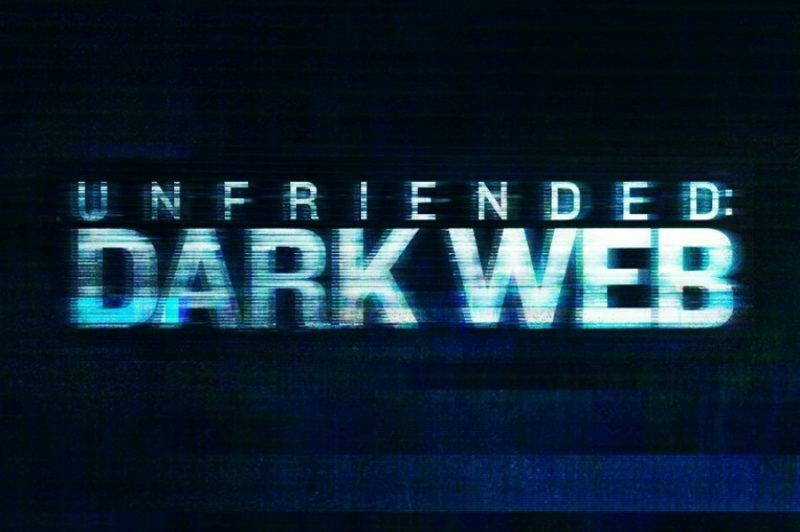 The new Blumhouse horror film Unfriended: Dark Web is in theaters this weekend. The film stars Colin Woodell, Stephanie Nogueras, Rebecca Rittenhouse and Betty Gabriel. Woodell plays Matias, and he and Amaya (Nogueras) have had a recent falling out due to their problems communicating. Amaya is deaf and Matias is finding out that Sign Language isn’t exactly easy to pick up. Their friends Nari (Gabriel) and Serena (Rittenhouse) have just become engaged and it could not have come at a worse time, as they are about to open a world of darkness they’ve never seen. We were able to sit down and talk with the cast about their experience on the set, their fear of the deep web and how they shot a film primarily doing improv. One thing I found very interesting about this film is that your collective friendship comes off genuine in this film, which was really interesting given that you were all isolated in separate rooms. What was it like to work in that kind of atmosphere? Colin Woodell: It was really cool. Luckily we had a team of a writer, director and producer that was very patience with it, so the filming process wasn’t rushed. We would roll for 50 minutes, each on our own Go Pros and kind of just talk to each other in character at times and sometimes as ourselves. That feeling of being a group of friends came out of long takes and normal human interaction. Rebecca Rittenhouse: I feel like we had a lot of time to rehearse beforehand and go over the script. It’s funny because at some point the process was kind of like a skype call between friends. Obviously there is some downtime while we’re waiting; we’re just playing game and it’s game night in the film. So we kind of just ended up playing and maybe we were rolling, maybe we weren’t. So I do feel what we develop was real because it was improvised. Betty Gabriel: And we had the time to develop it in that week to rehearse it, which is unheard of. I mean it was the first TV/film project where I had legitimate rehearsal and time to interact and ask questions. Also, the director was incredible as far as being open and allowing you to have input as far as the character’s development. Stephanie Nogueras: Like you said, all of us being in separate rooms, how would that work? How would that really turn out? You just have to trust everybody that’s involved. Trust the editing, trust the director. I mean he’s magical; he’s amazing. So we all kind of just went with it and I think it will turn out beautiful because I will see it soon. Sign language plays a part in the film with Amaya (Stephanie) and Matias (Colin) relationship. Did any of you learn it while filming the movie? Woodell: I wish. Rebecca learned more than I did because she’s Amaya’s best friend. I think that was something that kind of frustrated me about Matias because he didn’t take the time. What’s frustrating is his idea of being a good boyfriend is creating an app to communicate sign language into converted word on a computer screen, and he didn’t realize that all he needed to do was learn this thing. I kind of put up a barrier between me and Stephanie as the actors because there’s tension between them in their relationship when the film starts. That was important to us to have some distance. I won’t speak for Rebecca, but she learned more than I did. Rittenhouse: Which was still very limited. I learned basically a few phrases. We planned to have few phrases that we could through back and forth to each other and improve slightly within a very limited frame work. For me that was difficult because we’re supposed to be so close, in reality I can’t communicate with her without Amber (Stephanie’s sign language translator). So that was definitely a challenge, and they were both very patience with me. I still have videos on my phone of me struggling to learn sign language. Given that the main subject of the movie was the Dark Web, did you do any research of the Deep Web? Rittenhouse: We talked a lot about it when we were still going through the script development. The things that can happen and Stephen talked to us about a lot of the real-life stories and experiences. Just the stuff alone in the film is extremely frightening and I try not to think about it too much. Nogueras: I actually had no idea about it prior to the film. I asked my boyfriend if he was aware of it and he said, “Yeah, I know where it is. I know how to find it.” So he actually showed me a little bit of it. It was actually super easy to get access to, which is really disturbing. It was weird. After few minutes I was like that’s enough. Turn it off. I’m not interested. Unfriended: Dark Web director and writer Stephen Susco informed us that on the last day of the shoot, he had the cast improvised the entire film from start to finish. What was that like to act out an entire film in one day? Woodell: It was special for all of us I think because finally it wasn’t this draining, exhausting, emoting. We were able to kind of enjoy each other’s company. This kind of wild ride we were on for two weeks; it was a sprint. It was something. You really didn’t get the time to stop and take in the experience because it was just go, go, go, and that day was really fun for us. Yeah, we just played Cards Against Humanity. That day was special for me because it was an adrenaline rush just doing this whole thing. The film needs that kind of friendship. Rittenhouse: It made it feel very real. I’m sure Stephen was able to pull bits and pieces from that day. He actually told us that the majority of what is in the final film is from that day. Woodell: Wow and I’m sure he wanted to put more of it in. Rittenhouse: I mean we had nine hours of footage a day, where does it all go? Woodell: Just imagine editing that. Rittenhouse: Here’s a mountain of gfifootage. Unfriended: Dark Web is currently in theaters now. If you haven’t already, check out our full review of the film as well as our interview with director Stephen Susco. The post Interview with Unfriended: Dark Web cast appeared first on Nerd Reactor.